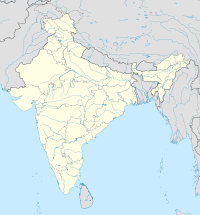 There is a small Japanese community in India (在インド日本人, Zai Indo Nihonjin) which consists mainly of expatriates from Japan or Indian-born people of Japanese ancestry. In Bangalore, the Japanese community has increased by approximately 3000 in the last few years. The vast majority of the community works for Toyota Kirloskar, Honda, Fujitsu, Komatsu, Hitachi, Tsujikawa, Keihin, and 80 other Japanese corporates. Bangalore attracts over 1800 Japanese business visitors every month. The Karnataka government has announced to set up an industrial township on 1,000 acres of land outside Bangalore for Japanese manufacturers. The growing Japanese influence in Bangalore is exemplified by students learning Japanese at the Department of Foreign Languages at Bangalore University. Bangalore has a Japanese-influenced Sakra World Hospital, a Kenkos store for lifestyle products, and the Japanese-friendly Trio World Academy. Japan Habba (Japan Festival) has been held in Bangalore since 2005 and about 1,000 Japanese people from various parts of India travel to Bangalore to join in the festival. Many Japanese restaurants exist in Bangalore, and some are owned by Japanese people. The number of Japanese expatriates is expected to rise with the development of a 1500-acre Japanese township on the outskirts of Chennai. The Japanese community of Haldia is mostly engineers and top executives at Mitsubishi Chemicals Corporation’s (MCC) PTA (Purified Terephthalic Acid) plant in the city. The community have been living in the mini Japanese township called Sataku (Japantown) for many years. Sataku has many Japanese restaurants and a local Japanese news station. Japanese movies are also shown in local theaters. Haldia is the only Indian city to have a Japantown. The only problem for tourists to this Japantown is that it is not open to public. You need to be invited as a guest of one of the residents to gain entry to the complex. Also, the exact location is not available on Google Maps and not known to most locals or local traffic police. The commissioning of the PTA plant and subsequent expansions have seen the arrival of many Japanese executives. While a few have returned, many stayed back in this quaint township, thousands of miles away from their home land. The next phase of expansion promises to bring in more Japanese expatriates to this new industrial hub in West Bengal. There were 321 Japanese establishments and 347 Japanese citizens residing in Gujarat as of March 2019. Japanese School Educational Trust of Chennai (チェンナイ補習授業校 Chennai Hoshū Jugyō Kō) - located at American International School Chennai, Taramani. Established by the Japanese Association in Chennai (チェンナイ日本人会 Chennai Nihonjin Kai), it opened in June 1975 as the Japanese Class of Madras (マドラス日本語補習教室 Madorasu Nihongo Hoshū Kyōshitsu). In 1998 the school adopted the name Japanese Language School of Chennai (チェンナイ日本語補習校 Chennai Nihongo Hoshū Jugyō Kō) since Madras took the name Chennai. The school moved to AIS Chennai in 2003. It adopted its current name in 2005 so it could register as a trust, as per the Trust Act. The Calcutta Japanese School (カルカタ日本人学校 Karukata Nihonjin Gakkō), a day school was established but not longer exists. The hoshuko in Kolkata also closed. ^ "インド（India）". Mofa.go.jp. Retrieved 18 December 2017. ^ "More Japanese companies root for facilities in Bangalore". Deccan Herald. Retrieved 2015-05-25. ^ "Bangalore Woos Japanese Visitors". Blogs.wsj.com. Dec 27, 2012. Retrieved 2015-05-25. ^ Kulkarni, Mahesh (2010-11-16). "Karnataka plans 'walk to work' industrial townships". Business Standard India. Retrieved 2015-05-25. ^ S, Madhumathi D. (April 19, 2014). "Karnataka beckons Japanese companies". The Hindu. ISSN 0971-751X. Retrieved 2015-05-25. ^ "Bring out your kimonos for Japan habba". The New Indian Express. Retrieved 2019-02-28. ^ "Japanese Cos Eye Larger TN Footprint". Newindianexpress.com. Retrieved 18 December 2017. ^ "Land of the rising yen". Thehindubusinessline.com. 15 April 2013. Retrieved 18 December 2017. ^ "IJCCI About Page". Retrieved 12 September 2018. ^ "Number of Applicants and Examinees by Test Site" (PDF). Jlpt.jp. Retrieved 18 December 2017. ^ "Business News - Latest Stock Market and Economy News India". Businesstoday.intoday.in. Retrieved 18 December 2017. ^ "Bullet Train Project: December deadline for land acquisition missed, says Japan". The Indian Express. 12 March 2019. Retrieved 15 March 2019. ^ "アジアの補習授業校一覧（平成25年4月15日現在）：文部科学省". 30 March 2014. Archived from the original on 30 March 2014. Retrieved 18 December 2017. ^ "■学校案内". Jschool2013.jimdo.com. Retrieved 18 December 2017. ^ "アジアの補習授業校一覧（平成25年4月15日現在）" (). Ministry of Education, Culture, Sports, Science and Technology. Retrieved on February 13, 2015. "チェンナイ Japanese School Educational Trust of Chennai Inside American International School Chennai, 100 Feet Road, Taramani, Chennai, 600113, INDIA"
^ "ＨＡＮＤＢＯＯＫ（学校案内英字版）." Japanese School Educational Trust of Chennai. Retrieved on February 13, 2015. Japanese names from: "学校沿革史": " 4月補習校設立の気運。６月マドラス日本語補習教室設立。 [...] ＜ 平成１０年(1998)度＞〔児童・生徒16名〕４月チェンナイ日本語補習校に校名変更。[...] ＜平成１６年(2004)度＞[...]３月教育信託団体証書登録「チェンナイ補習授業校（Japanese School Educational Trust of Chennai）」名に変更 " - "学校案内": "チェンナイには「チェンナイ日本人会」"
^ "過去に指定・認定していた在外教育施設：文部科学省". Mext.go.jp. Retrieved 18 December 2017. ^ "アジアの補習授業校一覧" (). MEXT. January 2, 2003. Retrieved on April 7, 2015. "カルカタ 休 校 中"
This page was last edited on 15 March 2019, at 07:30 (UTC).